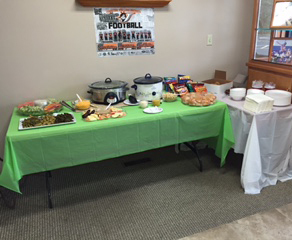 ApexNetwork Physical Therapy in Chester, IL hosted an open house on October 28 to celebrate their 5 year anniversary. This event was an opportunity for previous patients and the community members to meet with the therapists. There were also refreshments and a raffle drawing. 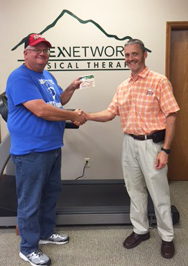 The winner of the grand prize, a Cabela’s gift card, was Brent Faircloth from Sparta. We look forward to hosting community events in the future! To check out our location, we are located at 2323 Old Plank Road, Ste. A or give us a call at 618-826-2949. Check out what ApexNetwork can do for you! Opening Soon in Sterling, CO!